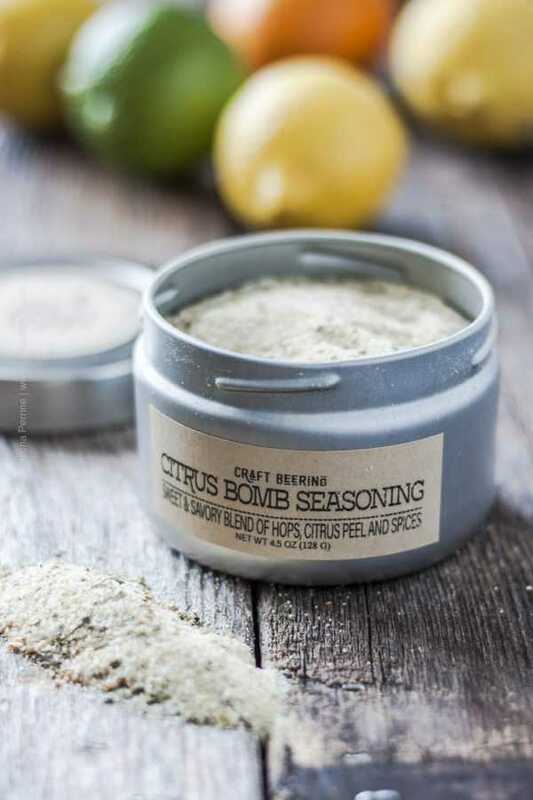 Our Citrus Bomb Seasoning is a controlled explosion of citrus aromas and flavors. Fragrant Mandarina Bavaria hops aided by Cascade and Mosaic partner with ground lemon, lime and tangerine peel, lemon juice powder and select savory spices. 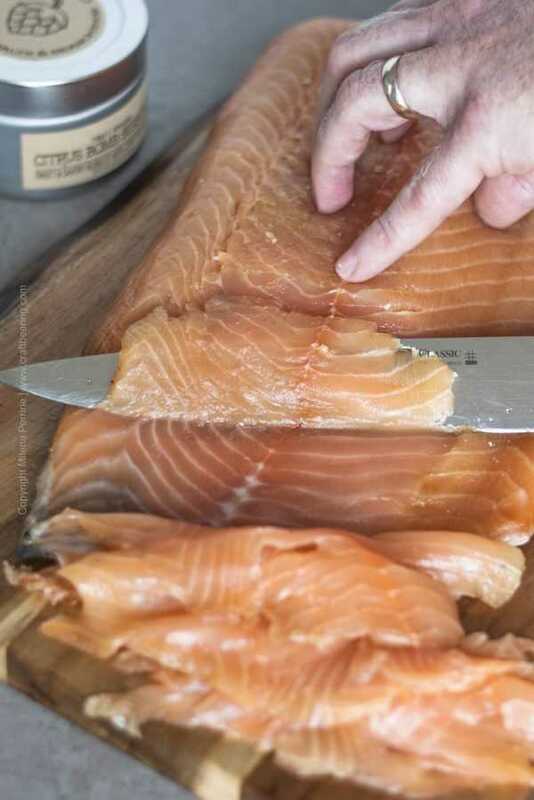 Expect a veritable culinary citrus blast. The intense tangerine and citrus aromas of Mandarina Bavaria, Cascade and Mosaic hops are accentuated by the blend of citrus trifecta peel and flavored by the lemon juice powder, basil and oregano. A balancing addition of Mediterranean sea salt and sugar cane crystals completes the medley. 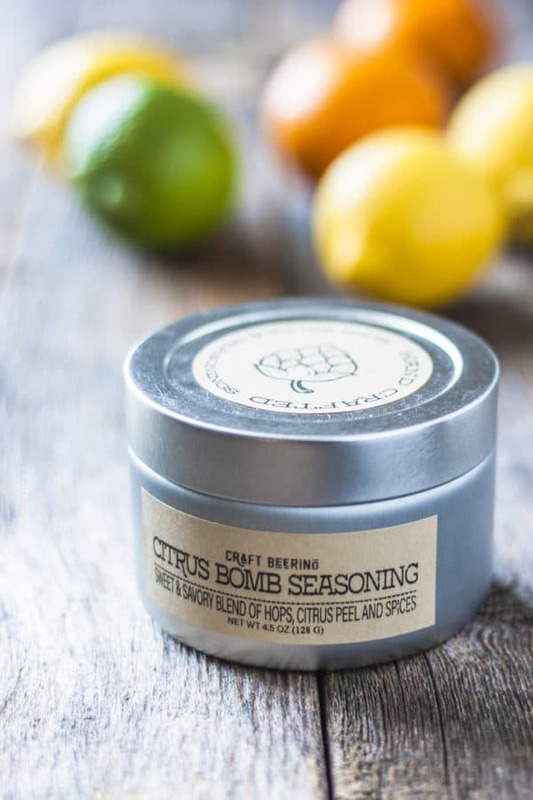 Our favorite uses: We love to use the Citrus Bomb Seasoning with a variety of fish, seafood, poultry and even pork. 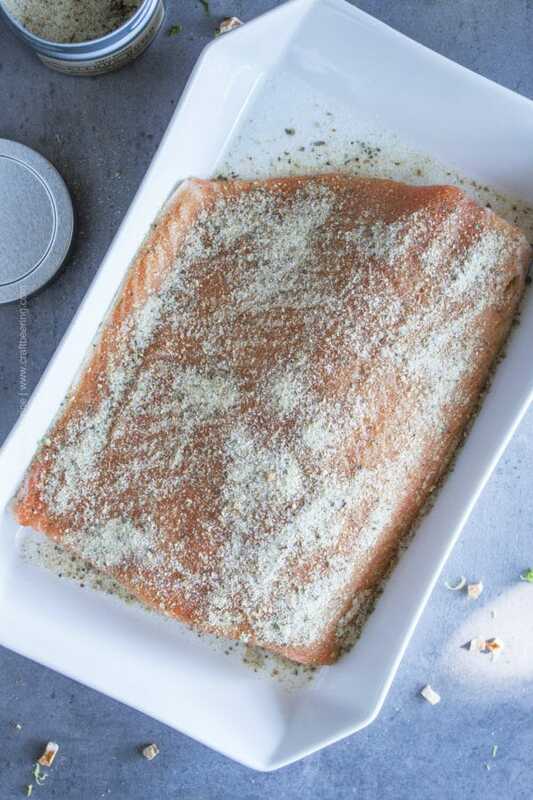 Aided by extra salt it creates the most fragrant gravad lax (cured salmon) in just a couple of days. Sprinkle a pinch of it over avocado slices drizzled with olive oil and enjoy a flavorful snack. Hand crafted and packed to order with freshly ground Mandarina Bavaria, Cascade and Mosaic hops pellets and lemon, lime and tangerine peel. Net Weight 5.5 oz.